Being in both the desert and the forest within one itinerary would be a true surprise. Enjoy the beautiful Desert Sky in the night and spend some time in the amazing Abr Jungle . This will provide you a chance to experience the two hidden faces of Iran. Arrival to Tehran, transfer to hotel; overnight Tehran. Full day city tour of Tehran to visit Golestan Place that is both a historic site and museum. It is a complex that consists of 17 palaces, museums, and Halls and it is worth to spend a few hours to visit its luxuriously decorated rooms, nice and big dining area and ballroom and well landscaped Gardens and fountains. The Archaeological or national museum of Iran that represents you many different periods of Iran’s rich history, Glass and Carpet Museums. Overnight Tehran. Drive to Larijan through Ab-ali Road, en route visiting The Damavand Mountain and The Lar Dam . Enjoy a spa in Larijan and stay overnight in a village house.Overnight Larijan . Drive to Gorgan ,en route visit the beautiful nature of The Caspian Sea and its cities and also see the Abbas- Abad Lake in Behshahr; overnight camping in Alang- dare Forest in Gorgan. Overnight Gorgan . 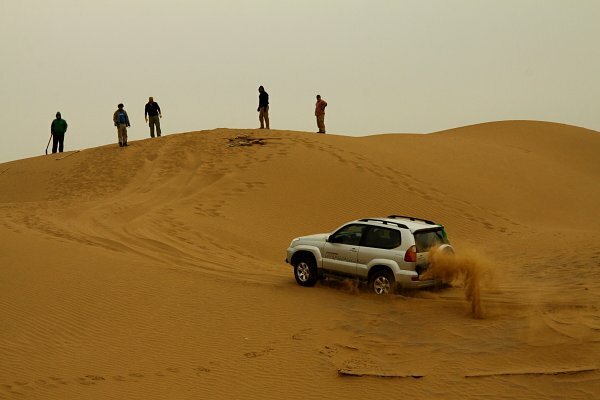 Drive to The Abr Forest,en route visit The Kordkooi Waterfall and The Aliabad katool;overnight camping in Abr Forest. Visit The Khartooran National Park; overnight camping in Khartooran Park. Pass through an amazing” protected area “and move towards Mesr Village; overnight stay at Takht-e- Aroosan. Camel riding in Mesr Village; then drive to Khor to visit its salty lake. Then drive to Kharanagh and Chak Chak ; overnight stay in Yazd. In the morning we start the tour in the city of Wind towers” Badgirs”, and the center of Zoroastrian culture and Persian architecture. This city is like a very old phoenix in the desert is the home of to an ancient type of evaporative cooler that are a prime examples of Yakhchals, has one of the largest networks of Qanats in the world and is also one of the largest cities built approximately entirely out of adobe. Yazd has a lot to mention and we can talk nonstop about it; but it’s better to visit yourself. So, we start city tour of by visiting tower of silence, fire temple, Amir Chakhmagh complex, Laariha house and Dowlat abad garden. Overnight Yazd. In the morning drive to Visit Persepolis, Naghsh-e-Rostam and Naghsh-e-rajab. Three breathtaking attractions in 50 km north of Shiraz .In fact they are must –see sites for not only history buffs but also everyone who like to know more about the history of Persian Empire. Then, drive to Shiraz to visit Khajooy-e-Kermani, Hafez and Saadi Tombs and the Jahan- Nama Garden; overnight Shiraz. Drive to Abarkooh to visit the 4500 year- old cypress tree. Then move towards Passargadae to visit the Capital of ancient Persia and the Tomb of Cyrus the great that without doubt is one of the most respected Persian Emperor both in national and international view (It is located in 87 km of Shiraz), overnight camping in Passargadae. Full day city tour of Shiraz to visit Zandieh complex (Karim khan’s citadel, pars museum, Vakil bath, Vakil mosque, Vakil bazaar- the traditional bazaar of Shiraz and Moshir caravanserai) , In the afternoon Eram Garden, Jame Atiq & Nasir Almolk Mosque, Narenjestan Palace, Zinat-al-Molk House. Transfer to airport for flight to Isfahan; overnight Isfahan. In the morning and after breakfast we step in the city that has been recognized by UNESCO as a world heritage and contains a wide range of Islamic Architectural styles ranging from the 11th century (to the 19th and start a memorable city tour by visiting palace of forty columns or Chehel sotun belongs to Safavid era and has very beautiful mural paintings and a pretty Persian garden , the world heritage site of Naghsh-e-Jahan Square (Imam & Lotfollah mosque, Ali Qapu Palace) . this square has been surrounded by two beautiful mosques and old bazaar of Isfahan and can entertain you for couple of hours ; then walk along the Zyanderood river and Isfahan famous ancient bridges (si-o-se pol & Khadju). Overnight Isfahan. Full day city tour of Isfahan to visit the magnificent Jame Atiq Mosque. It is 14th registered world heritage sites of Iran in UNESCO and one of the oldest mosques of Iran that dates back to 8 century. Ali Gholi Agha Complex and if you like to visit a place that represent you one of the most remarkable examples of eccentricity in Persian architecture continue our tour by visiting Pigeon Towers, this towers belongs to Safavid’s time then visiting the third most important Safavid palace .i.e. The Hasht-Behesht palace and vank cathedral, Transfer to Isfahan Intl. Airport for your departure flight. Salty lake, Kharanagh and Chak Chak . Tower of silence, fire temple, Amir Chakhmagh complex, Laariha house and Dowlat abad garden.